Rusty’s Garage takes care of all your vehicle maintenance – from auto repair, engine tune-ups, front-end work, oil changes and tires to diagnosing major mechanical problems. Our automotive warranty is second to none and far surpasses any warranty in the industry. Here at Rusty’s Garage in The Woodlands, we've been offering first-rate auto repair and customer service since we opened the doors to our shop in 2009. Our auto mechanics not only take great pride in offering accurate work, but they’re also skilled at educating clients who deserve to know exactly what’s happening with their vehicles. We truly treat clients who visit our auto repair shop in The Woodlands like human beings. We add a personal touch that allows clients to be at ease, trusting that they’re dealing with professionals who are reliable, trustworthy, and fair. New clients who visit Rusty’s Garage often decide to stay with us for the long term because of our deep commitment to offering above and beyond services. We understand that you have many choices when it comes to choosing an auto repair shop that is the best fit for you. You can be assured that your experience with us will be a comfortable and seamless one. Your vehicle represents your freedom. We have cars too so we understand the stresses and inconveniences that could arise when auto repairs are in order. We really care about the human side of the business too and make every effort to create an experience that is easy so we can get you back on the road in a perfectly functioning vehicle. Our team of automotive specialist has years of ASE Certified Experience. We offer our customers excellent customer service backed by knowledge and experience – regardless of the year, make or model of your vehicle. This includes putting dealer parts on your car. Our repair services focus on what you need to keep your car performing at it’s best. Save money on the Leading Brands from Rusty’s Garage. 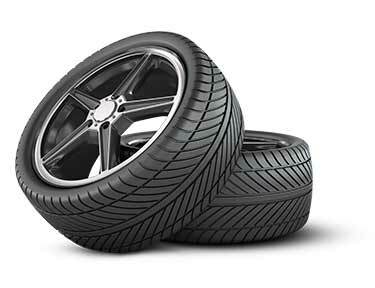 We have the tires you want for your vehicle, installed by experienced mechanics, and we are a one-stop accountability shop. You no longer have to get your front end aligned, brakes serviced and tires installed at different shops! Feel free to hang out and ask questions. Many of our customers do! Schedule your repair service today!